I've been eating in a lot of fancy restaurants lately. But it's not all champagne wishes and caviar dreams for me. Sometimes, we just want to go somewhere close to home that offers a few things outside the usual hospoda fare. One place that fits the bill is called Ego. 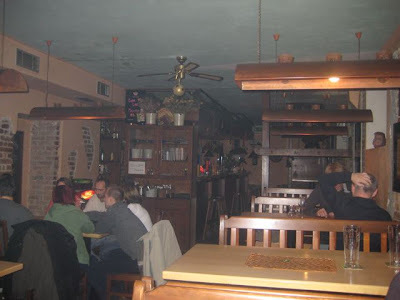 It's a little spot across the street from the Bohemians 1905 football stadium in Vršovice. There aren't so many tables, and sometimes they are full. You take your chances when showing up unannounced. 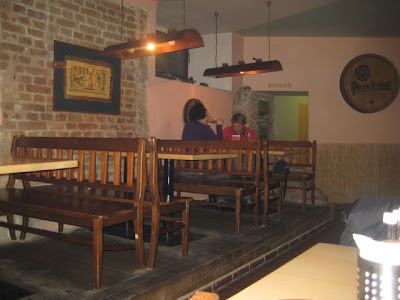 There's just one long room below street level with brick walls and uncomfortable chairs and benches. The prices are pretty reasonable. Yet, despite my earlier claim to common tastes, I must confess my favorite thing there is also among the most expensive items on the menu. 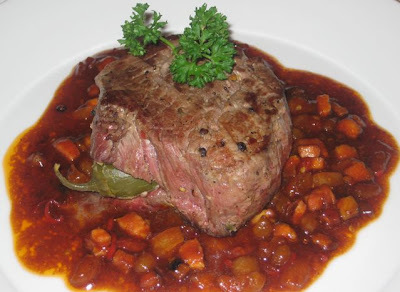 I really like the "bull steak" with jalapeno pepper (360 CZK). 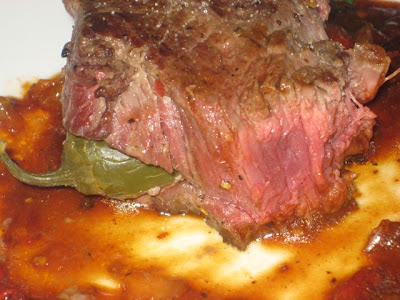 It comes with a whole jalapeno jammed right in the middle of the filet. On the last visit, I ordered it medium, but they undercooked it, perhaps because it was such a thick cut. It was very rare. The meat was quite tender. Warning: this thing will set your mouth aflame. The steak sat on top of a sweet and spicy pool of barbecue-style sauce. But it is their own mixture that didn't come from a bottle. Not directly, anyway. Unfortunately, the price does not include side items. Last time, I got it with "American potatoes." 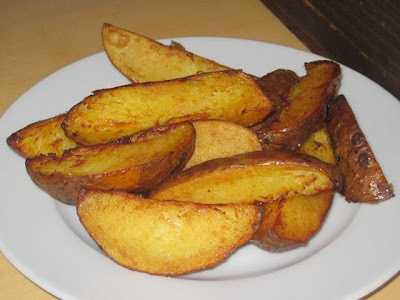 They offer a wide variety of fried and baked spuds for around 40 CZK. These were pretty greasy and cut too fat for my taste. There's an online menu, but it was not up to date when I checked it. 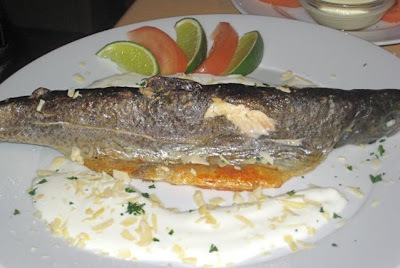 V wanted to go healthier and ordered a whole trout with cream sauce (120 CZK). She was very impressed with the freshness and quality of the fish. She was not so happy with the sour cream-based concoction on the side. After one taste, she just avoided it. She got some regular fries. They were a bit underdone. Ego is a Pilsner restaurant -- it says so on the wall outside -- so that's what I drank. 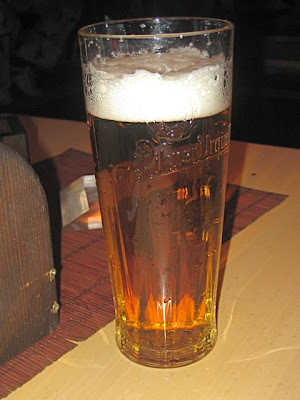 They also have Gambrinus. 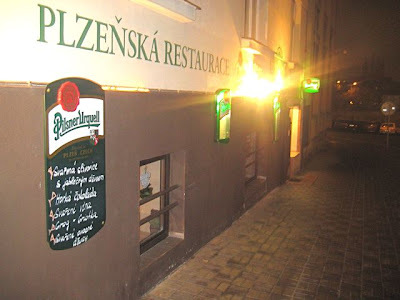 I went again more recently and decided to try their "sweet ribs" (155 CZK). 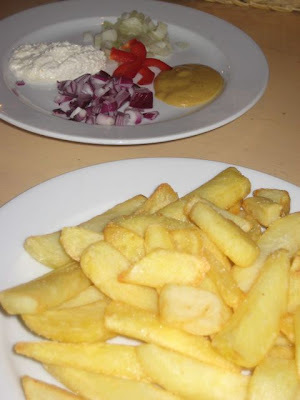 They were served in a metal enamel tray. These were big-boned ribs, so it looked pretty massive. The meat was first smoked before it was finished in the oven, giving it a redish color. But it was also on the dry side. As the name says, it comes with a sweet sauce, but it is not very sweet and used sparingly. On the side, there was also mustard, chopped onion, and horseradish. I didn't use much of this -- it didn't work well with the sauce. 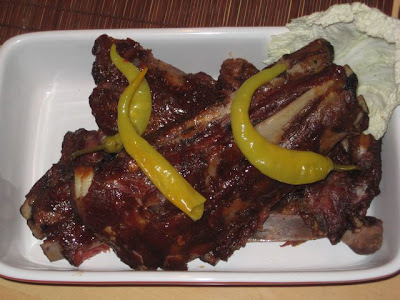 The ribs also come "Buffalo style" but I haven't tried that. 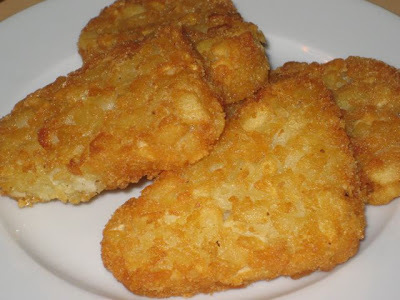 On the side, I had potato rosti. This ain't haute cuisine. But I just love those crispy, crunchy things. 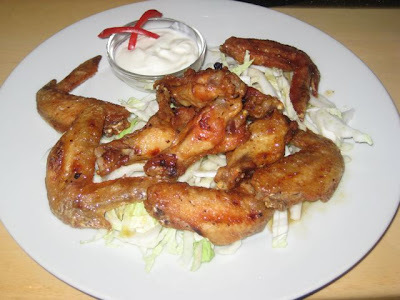 I'm not sure if it is fair to mention, but more than a year ago, I did try the ginger, honey, and lime wings. I throw this out there because I still have the picture. Despite the promise of the delicious-sounding preparation, they were lacking much of the hoped for flavors. And they left the tips on the wings, which is a turn off for American wing purists. If they've changed they way they do them, I'd love to hear about it. I'd say this restaurant is nothing so special that you should go out of your way to try it. Sure, a little Ego can be a good thing now and then. But I wouldn't call us regulars. For that to happen, the proprietors would have to be better masters of their own house. Really sorry to see this place closed down. I used to live on the same road and visited that place a lot! So often I knew everyone, even the cook, by first name. When my first wife left me, they made damn sure I went home drunk and happy, and didn't charge me a thing. Such nice people I have not encountered in a long long time. It's now called Kozlovna. Not a bad place, but a different menu. Decent cheap burger. Don't know if any of the people are the same. Need to give it a try then.